Register now for the #1 Recommended Expecting Twins Class in the World! 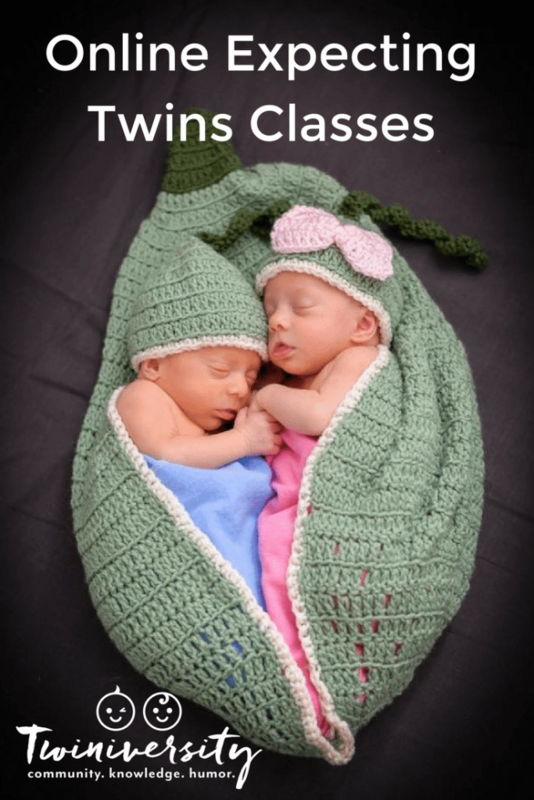 Twiniversity offers online expecting twins classes for expecting and new parents of twins or higher order multiples. 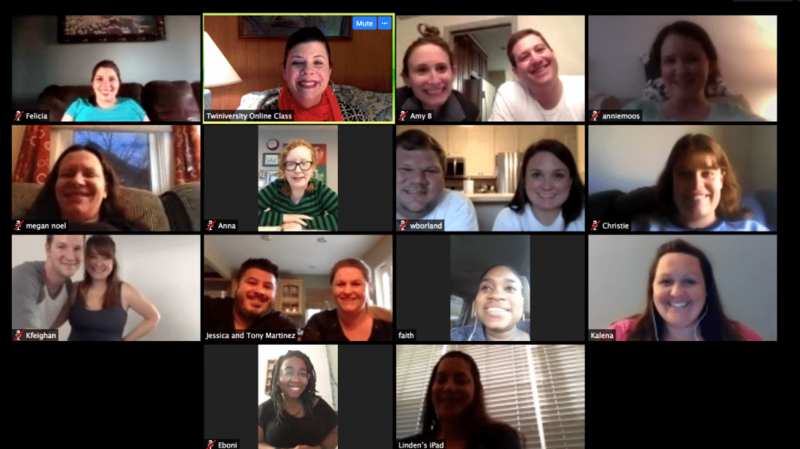 You will join a live video classroom with other couples from all over the US, Canada, and beyond where you can get all your twins questions answered by a live instructor (who is also a mom of twins!) Your class registration includes lecture, materials, and an open Q&A. 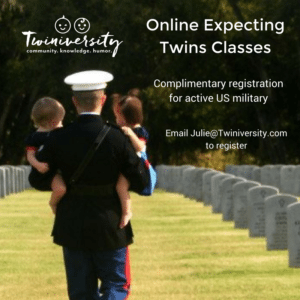 The 2-night online expecting twins class is a condensed version of our in-person class in NYC and Chicago and are available to anyone across the globe with an internet connection and a webcam. We recommend taking the classes after 24 weeks gestation. “Thank you for all the fantastic information from our class and all the resources, we have had a wonderful postpartum transition that we owe to being well informed and prepared! 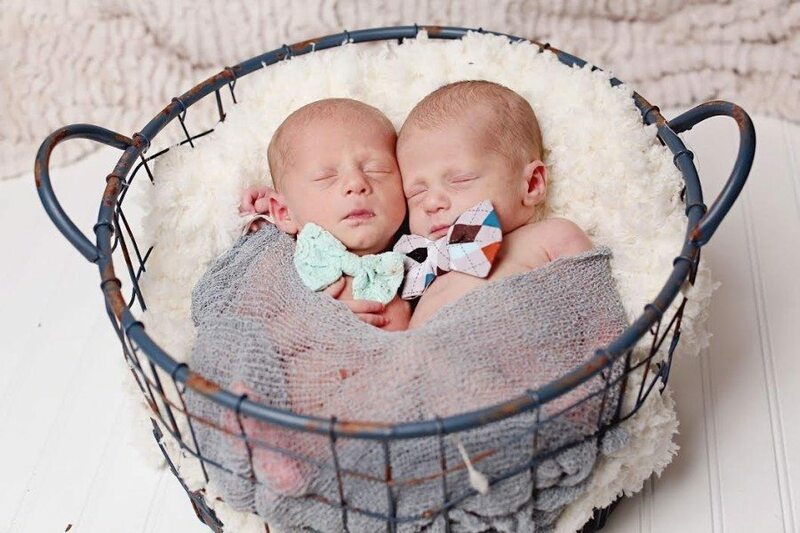 !” – Lisa C.
“My husband and I took the online class with Nat about a month before our twins were born (7 weeks premature!) 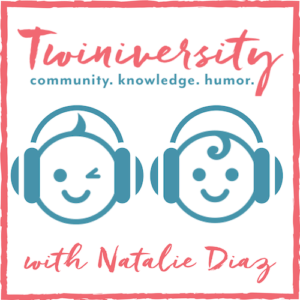 We are so grateful for the sheer amount of knowledge and guidance that the class provided, plus Nat is an absolute hoot!” – Lindsay F.
“I turned to Twiniversity as I was nearing the birth of my twins. As a single gay dad, I found the resource landscape minimal until I took the two-day course. I still use the book and consult this site for practical parent hacks and fun stories. Thank you for being awesome!” -Julius E.
The Twiniversity Expecting Twins Class is taught over two evenings. 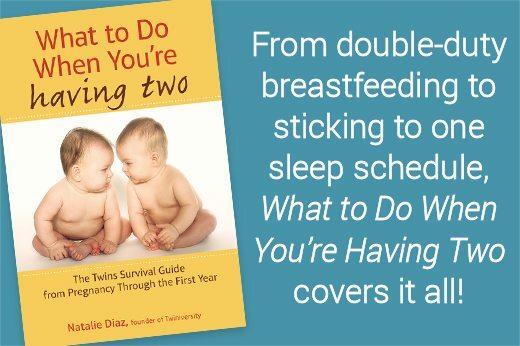 Day 1 covers preparing for your twins arrival and Day 2 covers caring for your newborns. Day 1 will cover everything you need to know BEFORE your bundles of joy arrive! During this two hour lecture, we will highlight all the important information you need to get you well on your way in preparing your home, yourself, and your relationship for the upcoming arrival of your twins. The class is $150* per family and is taught over two (2) nights. This covers two (2) adults, typically mom plus spouse/partner/family member. Your registration is valid for 2 attendees using 1 user login on the video chat. Classes are only for parents expecting multiples. For a more in-depth experience, read more about our live classes in New York, Chicago, Houston and private online sessions. For an additional $29, add on our Online Breastfeeding Twins Class! (retail price $49) You can purchase this along with your expecting twins class in the drop-down menu below. Are you expecting twins and active US military or a first responder in the US? If so, you qualify for a FREE Twiniversity Online Expecting Twins Class! Email Julie@Twiniversity.com to register. Click the left/right arrows to see future months. Expecting twins? Twiniversity is now offering online classes for expecting parents of multiples. This 2-day live class is open to those expecting twins, triplets, quads, etc. This is a condensed version of our in-person classes and is available to anyone across the globe with an internet connection. Now anyone around the world can join in and get ready for the arrival of twins with the help of Twiniversity! Perfect for couples pregnant with twins or with newborn twins. Click here for full class details! After you submit your payment you will be automatically routed to a Google Form to complete your registration. If you have any problems with this, contact julie@Twiniversity.com. ADD ON OUR ONLINE BREASTFEEDING TWINS CLASS FOR JUST $29! *Scholarships are available for families in need. Email julie@Twiniversity.com to learn how to apply. Scholarships are awarded based on availability and will be awarded via email. Class Cancellation by Twiniversity: Twiniversity reserves the right to cancel an event due to circumstances beyond our control. If Twiniversity cancels a class, registrants will be offered a full refund. Should circumstances arise that result in the postponement of a class, Twiniversity has the right to either issue a full refund or transfer registration to the same class at the new, future date. Registration Cancellation by Participant: The deadline to receive a full refund for your registration is 7 days before the class. Registration cancellations received prior to the deadline may be eligible to receive a full refund, less a $25 service fee. Cancellations received after the stated deadline will be eligible for a 50% refund. Refunds will not be available for registrants who choose not to attend a class. Refunds will be credited back to the original credit card or Paypal account used for payment. Are you looking for a special gift for a couple expecting twins? Gift certificates are now available for our Expecting Twins Classes! You can purchase a gift certificate for our online, New York, or Chicago classes and we’ll email you a custom certificate that you can present to the lucky couple! Email Julie@Twiniversity.com to order.